Cream eyeshadows are fantastic for one-and-done looks where you can apply and blend out a cream eyeshadow all over the lid to add a bit of oomph to the eye area without having to spend a lot of time to do so. Cream eyeshadows are also useful as bases, where you’d layer other eyeshadows on top of it to improve adhesion, pigmentation, or transform the powder eyeshadows (make them cooler, more shimmery, etc.). If you’ve struggled on how to apply cream eyeshadow and how to incorporate your favorite cream eyeshadows into your regular beauty routine, you’ve come to the right place! 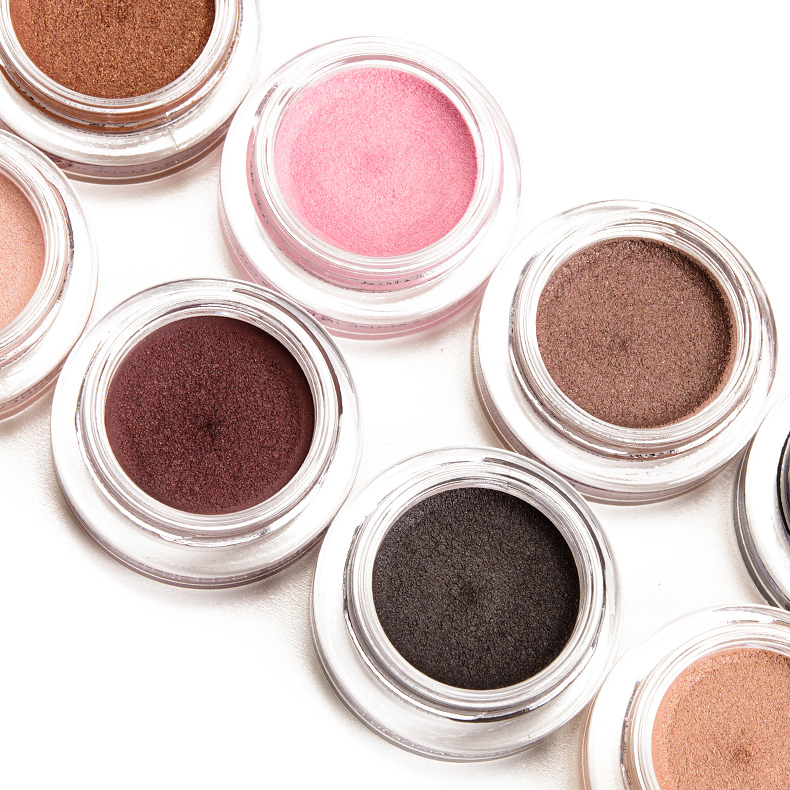 Here are our top tips and tricks on applying cream eyeshadow that we hope will help you! Use synthetic brushes. Synthetic brushes won’t absorb product like a natural-hair brush would, so they are ideal for more emollient products like cream eyeshadows. 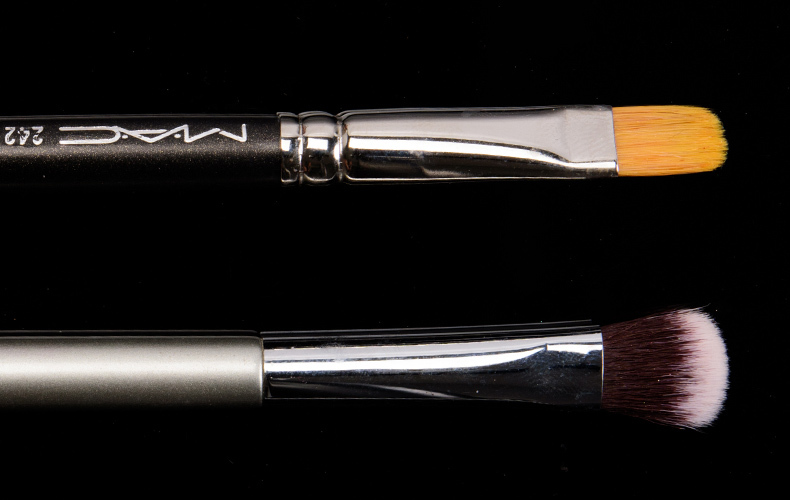 Flat, firmer brushes are best for getting the most coverage. These will pick up a lot of product and deposit it well to a single area, particularly areas like the lid space. Fluffy, tapered edges work well for diffusing edges or getting sheer coverage. The fluffier, tapered edge helps to blend and spread out product on the skin, and these types of brushes also work well for applying color all-over the lid. Don’t forget your fingertips! Fingertips work well for all-over lid application and can be used for the inner corner or the center of the lid. If you have smaller fingertips, you might be able to do just about all the work with your fingertips alone! Wetter formulas require more work. 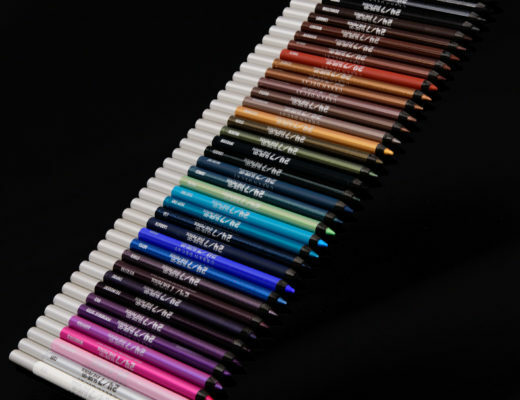 If a formula is very wet and takes awhile to dry, it can crease or pull into fine lines on the eye area, so the best way to deal with this is to go back and press and buff the color out of the creases once it has dried a bit (but not fully dry) so that the product doesn’t end up locked into the lines in the end. 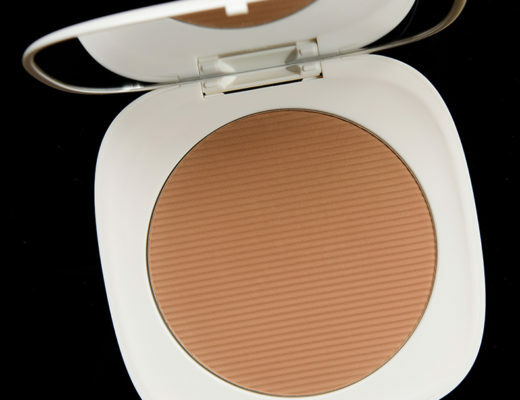 Use circular, buffing motions to diffuse the edges of cream eyeshadow. 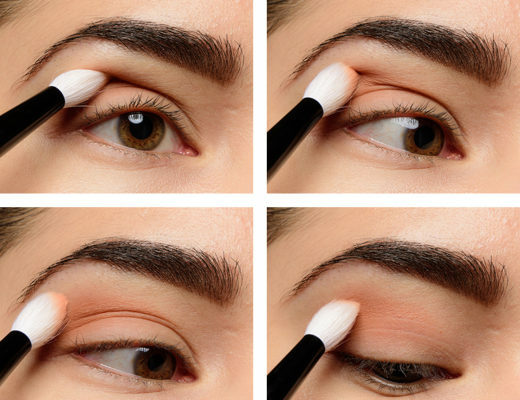 Using moderate pressure (less for more pigmented/wetter formulas, more for drier formulas), move your brush in very tight circles to diffuse and soften the edge of the cream eyeshadow that you’ve applied. Use the edge of your fingertip to gently push the edge of the eyeshadow toward the area you want it to be blended out toward. I find the edge of my fingertip is smooth enough but gives me some precision to get the edges to soften without moving too much product away from where I want pigmentation. 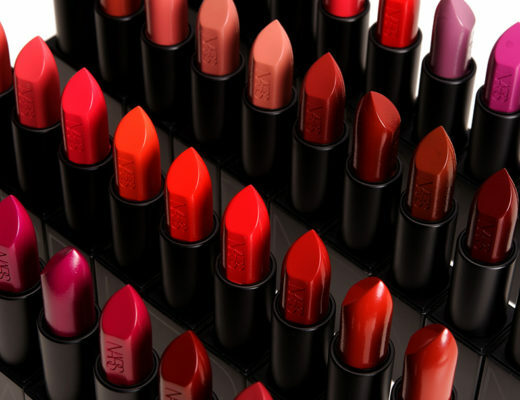 Work with darkest to lightest shades, especially on the lid. When using more than one shade, I prefer applying darker shades first, as it is easier to diffuse a lighter shade into the darker shade–the opposite ends up making lighter areas smaller, which is usually not what I’m after. Experiment with application methods and tools. 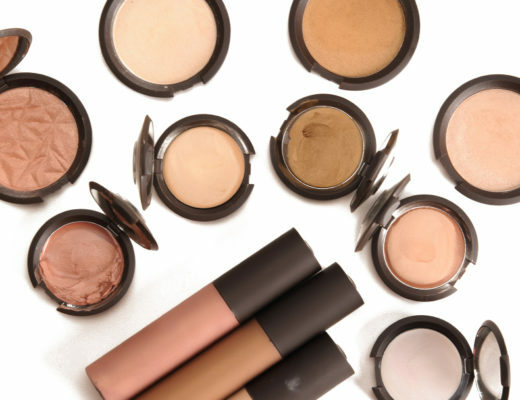 Unlike powder eyeshadows, cream eyeshadows vary formula to formula, shade to shade, so much more, so what works for one product doesn’t always work as well for another.